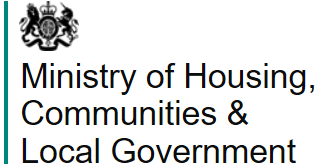 The Ministry of Housing, Communities and Local Government said that under current rules, local authorities are required to ensure private rental housing in their area are free of hazards using the Housing Health and Safety Rating System (HHSRS) where landlords can be served with improvement notices forcing them to take action where tenants are at risk to health and safety hazards. The trigger for the review is to examine a system that hasn’t been updated in over 12 years, a new review of HHSRS will consider whether it should be updated and if so, to what extent. The review will also look at whether to introduce minimum standards for common health and safety problems in rented housing in order to keep renters safe and to ensure the housing market works for everyone. Housing minister Heather Wheeler MP says: “Everyone has a right to feel safe and secure in their own home. This review will allow us to revisit the current system for health and safety ratings to ensure it is fit for purpose and meeting the needs of tenants. By looking again at these rules, we can make sure that they are working as they should to keep people safe and give them peace of mind in their homes." On Wednesday 14th November Government announced the start of a consultation on creating a specialist housing court in England where views from residential landlords and tenants would help mould a new redress process in resolving disputes between both parties. The proposals unveiled by Communities Secretary James Brokenshire would see landlords and tenants receive faster and more effective justice in the event of property disputes. Government will seek views on a specialist Housing Court which, if created, would provide a single path of redress for both landlords and tenants – meaning both have the security of knowing they have somewhere to go to seek justice, with the power to resolve the dispute. Landlords are reluctant to offer longer than the 6 month fixed tenancies because of the time, cost and complexity of pursuing a repossession case through the courts. Government data shows it can take 16 weeks or more to complete a claim for possession through the County Court. Government hopes that its proposals will help improve and speed up access to justice for both tenants and landlords and provide landlords with the confidence to offer longer and more secure tenancies. It is hoped the proposals will also provide tenants with the ability to quickly enforce rights granted under the upcoming Homes Fit for Human Habitation legislation expected in early 2019. Other measures expected in 2019/20 include requiring all landlords, like agents, to join a redress scheme; ensuring all letting agents are members of a client money protection scheme to protect landlord and tenants’ hard-earned cash; and banning letting fees and capping tenancy deposits so that tenants have more money in their pockets.